All the targets of the rising pattern have been reached and there is a possibility of formation of the 4th point of reference here. One can try to sell with the stop behind the local maximum. In this case, the target is 1.2770; it is a spot, where the rising pattern with the target in the area of 1.2954 is expected to be completed. Franc stopped falling, and currently we can see formation of the 5th point of reference of the rising pattern with the target in the area of 1.0268. One can try to buy with the tight stop below 1.0135. At shorter periods of time, there is a possibility of formation of “head & shoulders” reversal pattern. Pound is still moving in the descending channel. 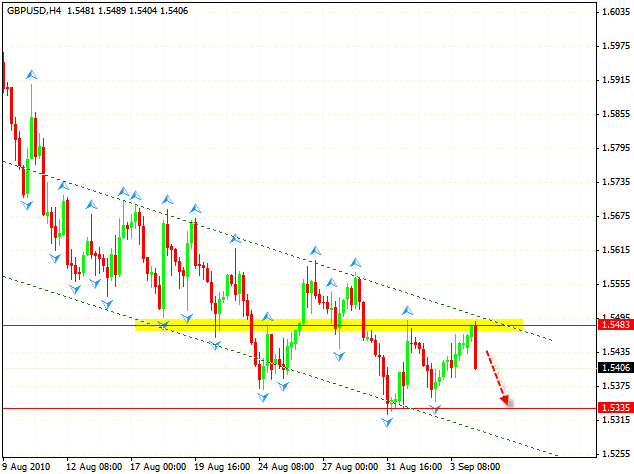 The support level in the area of 1.5483 has already been tested. 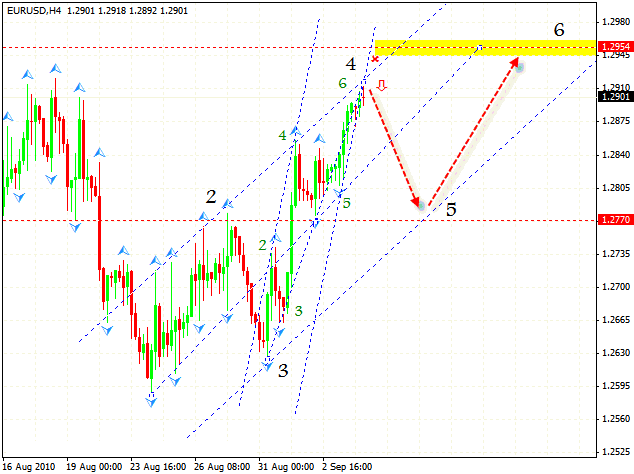 At the moment one should expect the fall into the area of 1.5335. 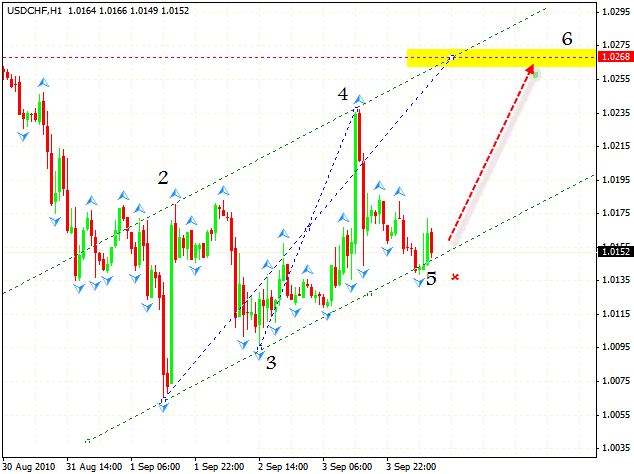 In this case stop must beabove 1.5483. 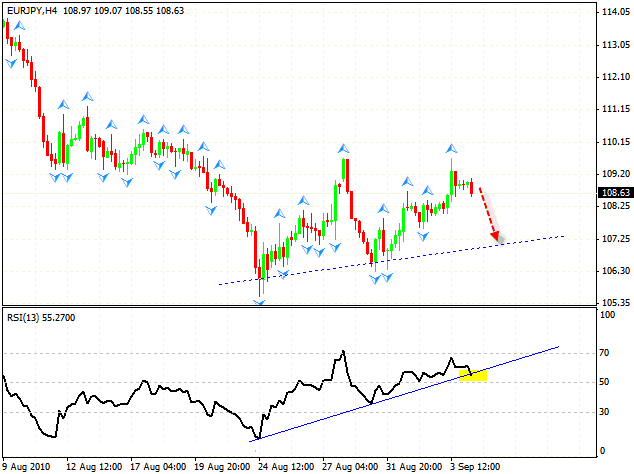 In case of the EUR/JPY currency pair, the RSI currency trading indicator is testing the line of the rising trend. If the trend is broken, it will result in testing of the similar line with the target in the area of 107.25. To find the point of entry, we should turn to shorter periods of time. 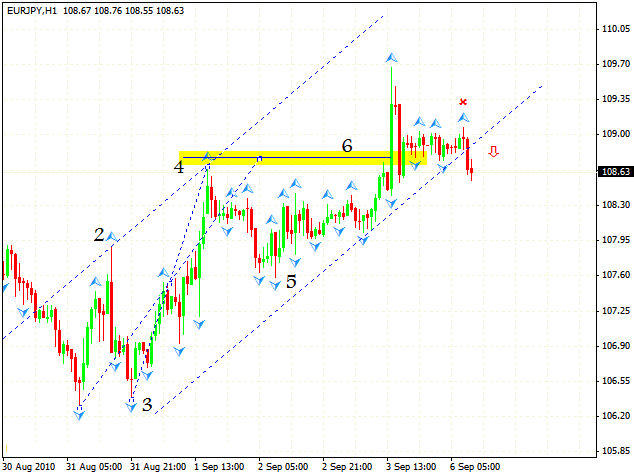 At H1 chart we have an already formed pattern with the target of 108.80. And, as can be seen, the priceis out of the rising channel. One can try to sell the pair with the stop above 109.25.